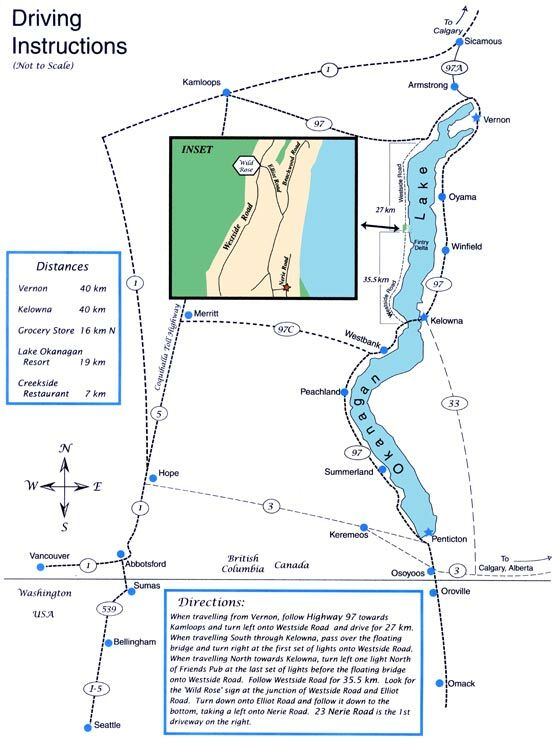 When travelling north from Vernon, follow Highway 97 west towards Kamloops and turn left onto Westside Road and drive for 27 kms. When travelling south on Highway 97 through Kelowna, pass over the floating bridge and turn right at the first intersection, onto Westside Road. Follow Westside Road for 35 1/2 kms. When travelling north on Highway 97, from Westbank towards Kelowna, take Westside Road Ramp on right, at first intersection past Friends Pub, which is the last intersection before the floating bridge. Follow Westside Road for 35 1/2 kms. 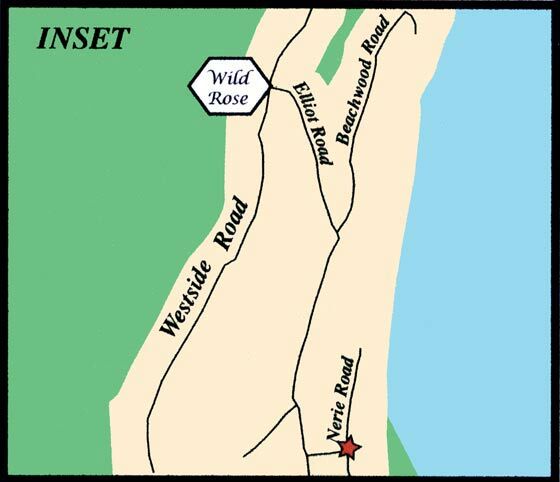 ** Look for the "Wild Rose" sign at the junction of Westside Road and Elliot Road. Turn down Elliot Road and follow it down to the bottom, then take a left onto Nerie Road. 23 Nerie Road is the 1st driveway on the right.